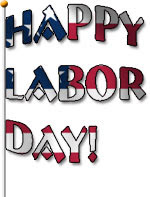 Swoon Style and Home: Happy Labor Day! I hope you all are enjoying a wonderful vacation and fabulous weather!! Enjoy soaking up the fun and sun, we will see you tomorrow!